Lately, we’ve seen some contradictory news coming from Microsoft. Especially in the way they’re managing their workforce in these tough times. On one hand, it’s facing flack for thinning down their workforce, and on the other more attacks exhorting it to prioritize American workers over foreign guest workers as the software giant downsizes. In the wake of one such a letter by a senator to Microsoft, questions are being asked about the legality of axing H-1B workers. Microsoft plans to lay off around 5,000 workers, many of whom are H-1B holders. And it appears that it has an affinity for H- 1B holders. We’re pretty sure any announcement on this front must be sending shivers down the spines of thousands of H-1B holding Indians waiting on the edge of their seats — their fate hanging in the balance. However, some commentators on the subject are claiming that H-1B visas rarely go to exceptional talent and often are used by body shops that provide contract labor to other companies. Another curious incident involves Microsoft asking a refund from the laid off workers! 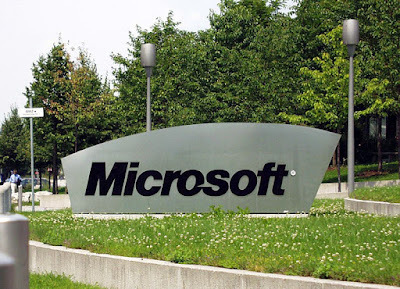 The software giant, recently laid off 1,400 employees, and has sent letters to some of them saying that their severance payouts were a bit too “generous” and that the employees should pay the money back to Microsoft. Well, the letter at least apologizes for any inconvenience caused. Talk about a PR blunder in the making. What could not be found out, however, was the exact amount that was over paid to the employees. Well it must’ve been quite a significant error really for them to send out such a letter. To save face with the American public at large, the company is also starting a job training effort aimed at giving technical skills to as many as 2 million Americans over the next three years. The program is being called Elevate America and will help people with creating a resume. Elevate America? More like alleviate Microsoft.